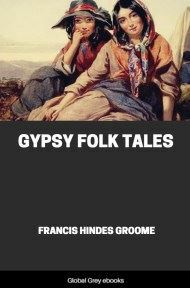 A huge collection of folk-tales from the Gypsies. 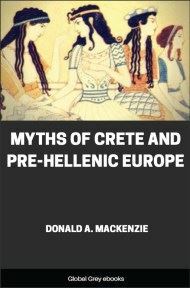 The Introduction alone is about 100 pages long and is very extensive. 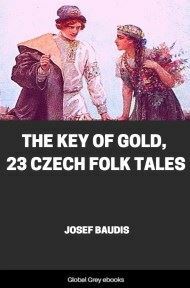 Then you have 76 tales, in 9 chapters; Turkish-Gypsy Stories; Roumanian-Gypsy Stories; Bukowina-Gypsy Stories; Transylvanian-Gypsy Stories; Slovak, Moravian, And Bohemian Gypsy Stories; Polish-Gypsy Stories; English-Gypsy Stories; Welsh-Gypsy Stories; and, Scottish-Tinker Stories. No race is more widely scattered over the earth's surface than the Gypsies; the very Jews are less ubiquitous. 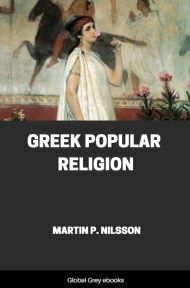 Go where one will in Europe, one comes upon Gypsies everywhere--from Finland to Sicily, from the shores of the Bosporus to the Atlantic seaboard. Something under a million is their probable number in Europe; of these Hungary claims 275,000, Roumania 200,000, Servia 38,000, and Bulgaria 52,000. How many Gypsies there are in Great Britain I have not the vaguest notion, for there are no statistics of the slightest value to go by. 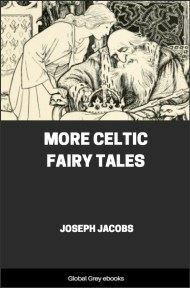 But I have never lived for any length of time in any place--and I have stayed in most parts of both England and Scotland--without lighting sooner or later on nomadic or house-dwelling Gypsies. London and all round London, the whole Thames valley as high at least as Oxford, the Black Country, Bristol, Manchester, Liverpool, and Yarmouth, it is here I should chiefly look for settled Gypsies. Whilst from study of parish registers, local histories, and suchlike, and from my own knowledge, I doubt if there is the parish between Land's End and John o’ Groats where Gypsies have not pitched their camp some time or other in the course of the last four centuries. Asia has untold thousands of these wanderers, in Anatolia, Syria, Armenia, Persia, Turkestan, and Siberia, perhaps also India and China; so, too, has Africa, in Egypt, Algeria, Darfûr, and Kordofan. We find them in both the Americas, from Pictou in Canada to Rio in Brazil; nor are New Zealand and Australia without at least their isolated bands. To-day at any rate the sedentary Gypsies must greatly outnumber the nomadic: in Hungary only 9000, or less than one-thirtieth of the entire number, are returned as 'constantly on the move.' Still the race has always been largely a migratory race; its wide distribution is due to bygone migrations. 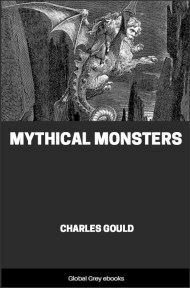 Of these the most important known to us is that of the first half of the fifteenth century, whose movements have been so lovingly and laboriously traced by the late M. Paul Bataillard in his Dè l’Apparition et de la Dispersion des Bohémiens en Europe (1844), Nouvelles Recherches (1849), and 'Immigration of the Gypsies into Western Europe in the Fifteenth Century' (Gypsy Lore Journal, April 1889 to January 1890, for pages ). Late in 1417 a band of 'Secani' or Tsigans, 300 in number, besides children and infants, arrived in Germany 'from Eastern parts' or 'from Tartary.' 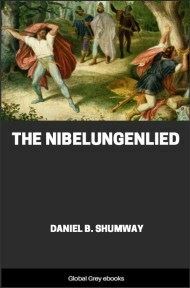 Their presence is first recorded at Luneburg; and thence they passed on to Hamburg, Lübeck, Wismar, Rostock, Stralsund, and Greifswald, At their head rode a duke and a count, richly dressed, with silver belts, and leading like nobles dogs of chase; next came a motley crew afoot; and women and children brought up the rear in waggons. They bore letters of safe-conduct from princes, one of which from the Emperor Sigismund they had probably procured that same year at Lindau on Lake Constance; and they gave out that they were on a seven years' pilgrimage, imposed by their own bishops as a penance for apostasy from the Christian faith. They encamped in the fields by night outside the city walls, and were great thieves, especially the women, 'wherefore several were taken and slain.' In 1418 they are heard of at Leipzig, at Frankfort-on-Main, and in Switzerland at Zurich, Basel, Berne, and Soleure: the contemporary Swiss chronicler, Conrad Justinger, speaks of them as 'more than two hundred baptized Heathens from Egypt, pitiful, black, miserable, and unbearable on account of their thefts, for they stole all they could.' At Augsburg they passed for exiles from 'Lesser Egypt'; at Macon in August 1419 they practised palmistry and necromancy; and at Sisteron in Provence as 'Saracens' they got large rations from the terrified townsfolk. In 1420 Lord Andreas, Duke of Little Egypt, and a hundred men, women, and children, came to Deventer in the Low Countries; and the aldermen had to pay 19 florins 10 placks for their bread, beer, herrings, and straw, as well as for cleaning out the barn in which they lay. At Tournay in 1421 'Sir Miquiel, Prince of Latinghem in Egypt,' received twelve gold pieces, with bread and a barrel of beer. Next the Chronica di Bologna tells how 'the 18th of July 1422 a duke of Egypt, Duke Andrew, arrived at Bologna, with women, children, and men from his own country. There might be a hundred. This duke having denied the Christian faith, the King of Hungary [the Emperor Sigismund] had taken possession of his lands and person. Then he told the King that he wished to return to Christianity, and he had been baptized with about four thousand men; those who refused baptism were put to death. After the King of Hungary had thus taken and rebaptized them, he commanded them to travel about the world for seven years, to go to Rome to see the pope, and then to return to their own country. When they arrived at Bologna, they had been journeying for five years, and more than half of them were dead. They had a mandate from the King of Hungary, the Emperor, permitting them during these seven years to thieve, wherever they might go, without being amenable to justice. When they arrived at Bologna, they lodged themselves inside and outside the Gate of Galiera, and settled themselves under the porticoes, except the duke, who lodged at the King's Inn (Albergo del Re). They remained a fortnight at Bologna. During this time many people went to see them, on account of the duke's wife, who, it was said, could foretell what would happen to a person during his lifetime, as well as what was interesting in the present, how many children would be born, and other things. Concerning all which she told truly.